Solution to "the 1 and done"
The big issue is about money. My solution? Use the music industry model. Especially the PRO the route. If you don't know what a PRO is, it's the group that monitors live performances (performing rights organization). There is also something called the "blanket license" where (mostly radio stations) will pay PRO's a fee to play what is in part of their catalog. The fees for the Blanket License gets paid towards the songwriters/publishers involved by the PRO's. Each school is part of an (Collegiate Athlete Rights Organization) represented by a "conference" ...this would be the PRO's. Radio, TV(espn),. would purchase the "blanket license". There would be a sliding scale for athletes. The longer you are part of a school, the bigger the "payout" is. So there is an incentive to actually stay in college. For instance if DUKE gets 100,000 for their Basketball program, they have to pay Zion 4 percent which estimates to 4k. Yeah it's not a lot, but it's better than zero. In order to make this work, there has to be another organization involved handling any type of money. Or do what the MLB does: you can declare out of HS but if you decide to attend school you have to stay at least 3 years. Or do what the NBA did and will soon do again, and let kids declare out of HS or whenever they want, without unnecessary additional restrictions. The NBA would much rather have kids in the G League than in college. You start paying college athletes, and the schools with the biggest endowments will be powerhouses (If they so choose). In that case, get used to Vandy being the SEC champs for years and years. Boosters pay more than 4K for a Zion type player. Endowment isn’t the same as athletic budget. 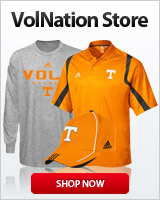 Does Vandy have better athletic facilities, or does Tennessee? MIT is prime to bust through that glass ceiling. The schools with the biggest athletics budgets (I think what you meant instead of endowments) are powerhouses under the current system anyway. Vandy can't compete with Alabama in terms of facilities, their brand, fanbase, etc. 5-star recruits get offers to attend schools with the best facilities, coaching, more media exposure, etc., and marginal recruits don't get those offers. Is that "fair?" I mean, some scholarship offers (which is a form of compensation) are more valuable/attractive than others. You can’t stop the Mighty Engineers, you can only hope to contain them. My best friend’s son plays football at MIT. Started at safety as a freshman...so proud of that kid.